The main categories in Russia will be smartphones and consumer electronics. JD chose Russian Internet retailer Yulmart as its partner in the country. JD.com, China’s second largest online retailer commenced operations in Russia this week. The company launched the Russian version of its platform on June 18, and will sell smartphones and consumer electronics. 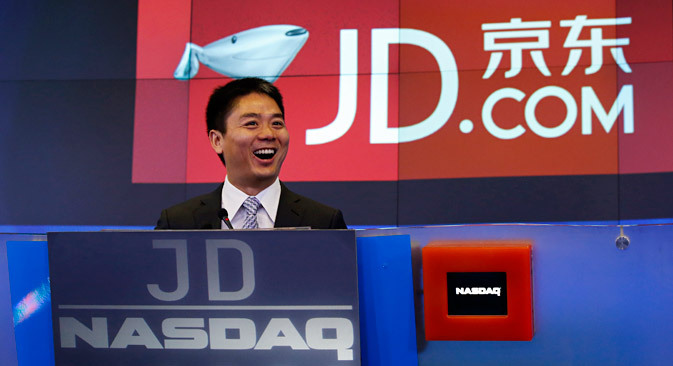 JD is the largest direct sales online company in terms of volume of transactions with a share of 49 percent in the Chinese market. Unlike Aliexpress (part of the Alibaba Group), an online aggregator that already operates in the Russian market, JD is a classic online store, which has seven sales centers, 143 warehouses, 3,539 destination points and outposts throughout China. In the first quarter 2015, the company's sales volume was $14.2 billion, with net revenue of $5.9 billion. Xu sees bright prospects in Russia where close to 70 percent of the population use the Internet. E-commerce represents 2-3 percent of the consumer space in Russia, Xu said according to the RT report. JD chose the Russian Internet retailer Yulmart as its partner to ensure access to the market and consumers. Russian buyers will be able to get products from JD's assortment at Yulmart’s order fulfillment centers and outposts, while delivery from China will take from one to four weeks, Yulmart said in a press release. The cooperation will help expand Yulmart's assortment up to one million items. JD's other partners will include Rambler, VKontakte, Yandex.Direct, Yandex.Dengi and Qiwi. The company is looking to become an e-commerce leader in Russia within the next five years.